- Second Life has a hiccup. - Somebody thinks McDonald's Dollar Menu items taste better than real food as opposed to a lotto ticket. Neither makes sense to us. 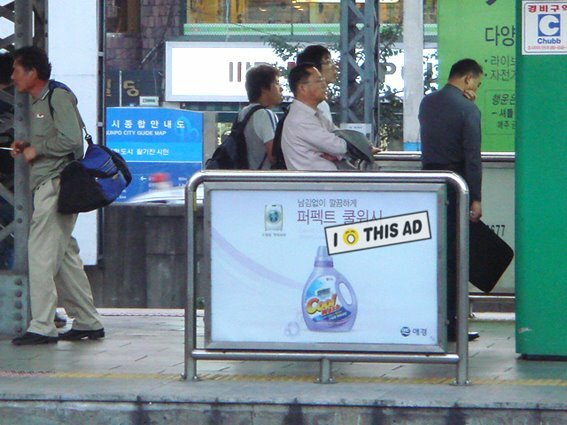 - In Germany and Seoul, people are showing their distaste for outdoor advertising by partaking in a billboard defacing sticker campaign. - MIT Advertising Lab examines BBH's foray into Second Life finding little to talk about except the architecture.